An indictment prepared by a Turkish prosecutor seeks a jail term of up to 7.5 years for author Murat Uyurkulak who worked as an editor-in-chief of the now-closed pro-Kurdish daily Özgür Gündem for a day, as a part of a solidarity campaign launched against the investigations into the daily. The daily started a campaign in May 2016, called “editors-in-chief on duty” to foster solidarity and defend press freedom against a number of investigations it has faced. 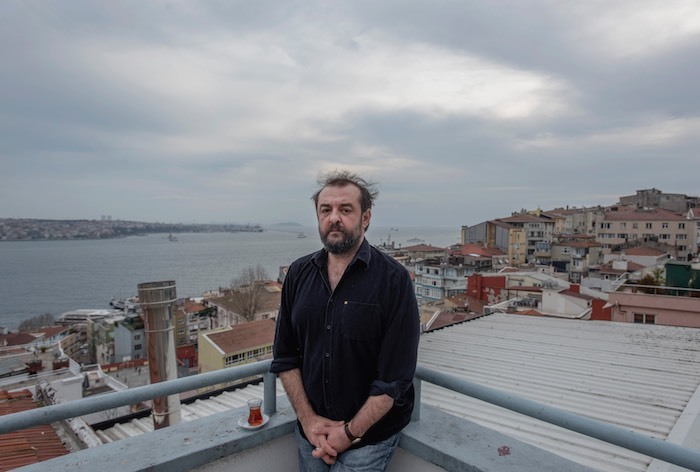 There are now over thirty lawsuits against the journalists, writers and intellectuals who were editors-in-chief for a day as a part of the solidarity campaign. Özgür Gündem daily was shut down by Turkish government in the wake of an attempted coup on July 15 for “disseminating terrorist propaganda” on behalf of the PKK and disrupting the unity of the state. Among the other names who attended the solidarity campaign were association of Free Journalists (ÖGC) Co-Chairs Nevin Erdemir and Hakkı, former CHP deputy Melda Onur, Ertuğrul Mavioğlu, Eşber Yağmurdereli, Erol Önderoğlu, Ayşe Düzkan, Fehim Işık, Yıldırım Türker, Mustafa Sönmez, Faruk Eren, Ahmet Abakay, Celal Başlangıç, Uğur Güç, Nurcan Baysal and Ragıp Duran.